It was probably around a month ago that I spotted this new styling tool whilst browsing through Boots' website! I'm all for big, glam hair and I always do as much as I can to try and create it! This is something that immediately stood out to me as I haven't seen anything like it before so of course I tweeted about it! So a week or so later when Remington e-mailed me and asked if I would like to try out a Big Style for myself of course I was ecstatic! Now I've tried heated rollers before and I've also tried to give myself a nice salon style blow-dry with a big brush, but 9 times out of 10 I either rock a poodle look or have flat pancake barnet! 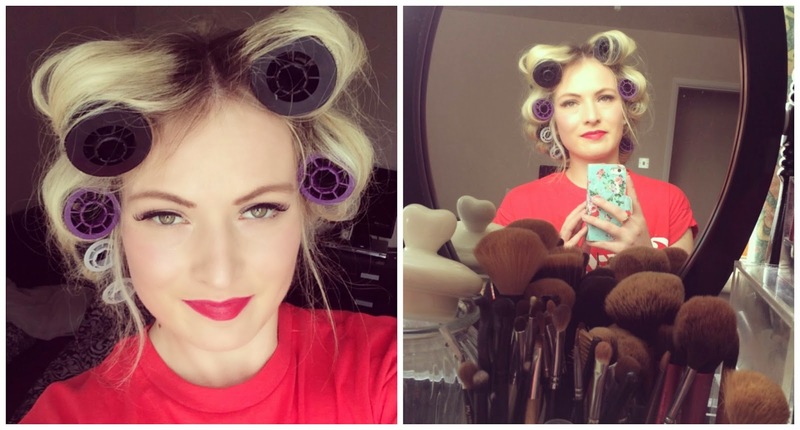 The only things that have ever really worked for me are velcro type rollers like Lauren's Way - but most of the time I don't have enough time to faff around with those, especially after work before a big night out - So this new tool seems like the perfect alternative! The Big Style is first and foremost to use with the 15 self-grip rollers it comes with a couple of other attachments. 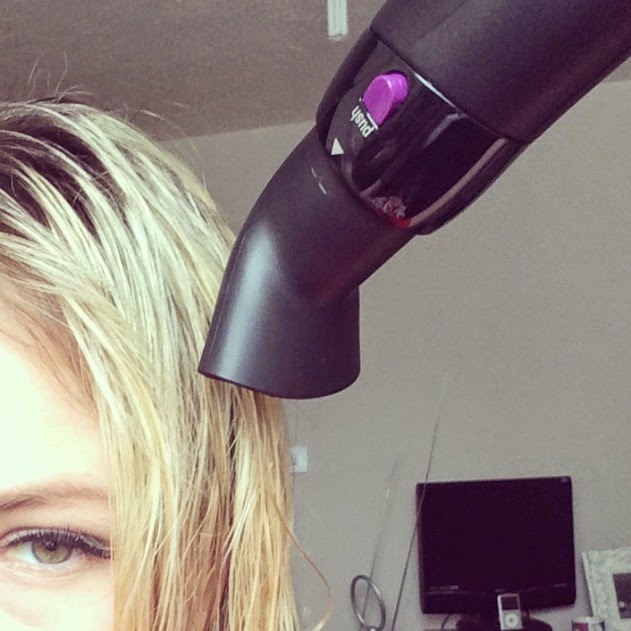 A handy Concentrator attachment , for you girls, like me, who are starting out with clean, wet hair(works like a hairdryer). Aswell as this it also includes a Thermal Bristle Brush attachment which can help you finish your look by helping shape the ends and gives you an easy way to gain extra height at your roots. The bristle brush is also great for using on it's own - an easier blow-dry than a hairdryer and a big brush! So now lets talk about how this works! If you are starting with wet hair like me then you start with the concentrator attachment and dry your locks until it is about 90/95% dry! Don't forget to have your heat protectant spray handy throughout this process! I found this didn't dry my hair as quick as my ghd hair dryer but I suppose it's not a hair dryer and not what it specializes in - if I am in a rush next time I will just use my usual hair dryer as I don't think it will make a difference. Then it's time to get rolling! The idea is to create gorgeous, soft flowing curls - my fav! I always find this so difficult to create and this just makes it so easy! Just attach your chosen size of roller (there a 3 to choose from) to the attachment - they clip in super easy and then you just press down on lever to release then when you are done! Once this is done, carry on rolling the hair up to the roots and once there switch on the air again for a further 8 seconds. I will be honest I didn't really pay alot of attention to how long I was leaving this air on - but it was more or less the same as the guideline times. At first it felt a little awkward but once I had done a couple it was easy peasy and it was a lot quicker than I thought it was going to be! Next time I'll make sure to take my time and section my hair properly though and not the grab bits here and there in a rush! As you can see by the photos it isn't the neatest demonstration! The only one thing I didn't like was doing the rollers near my ears as it got quite hot! I've included a video below to help show you this process in action! After I had fixed all the rollers in I gave it a quick spray of my Lee Stafford argan oil hair spray and left them alone for about 40 minutes. I did take one out not long after they had been in to see if it had had an effect instantly and it was great! After 40minutes or so had past I sat down and slowly took out all the rollers and then quickly gave the ends a quick once over with the bristle brush attachment (which is fab!). I am SO happy with the results of the Big Style! 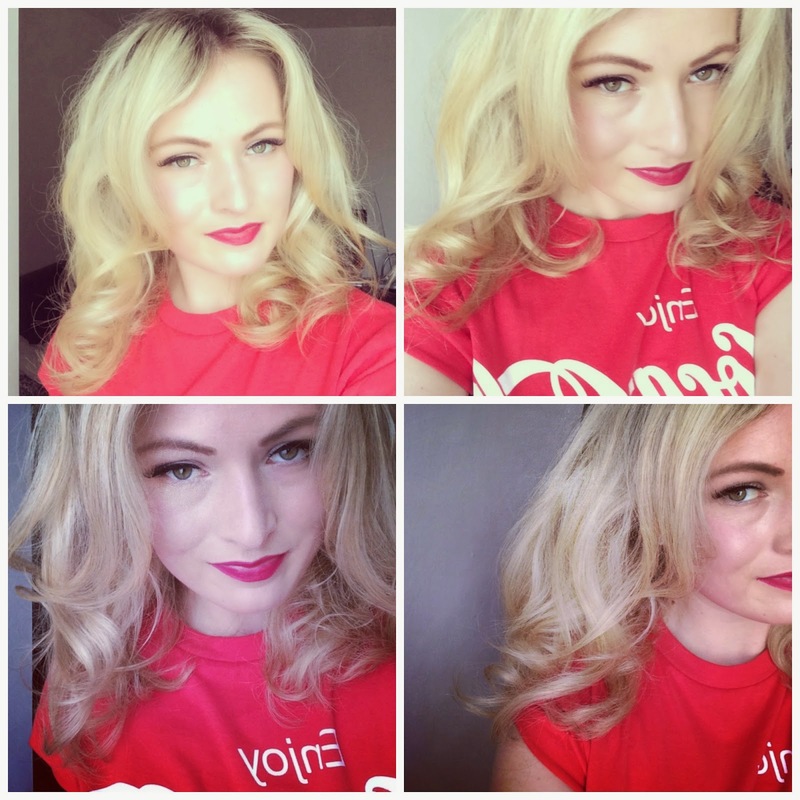 My hair was given soft, natural, glamours looking curls and volume with basically no hard work at all! So far I have only tried the Big Style out on my natural hair but I can't wait to try it out when I have my extensions in aswell - I think the results on longer hair will be great! 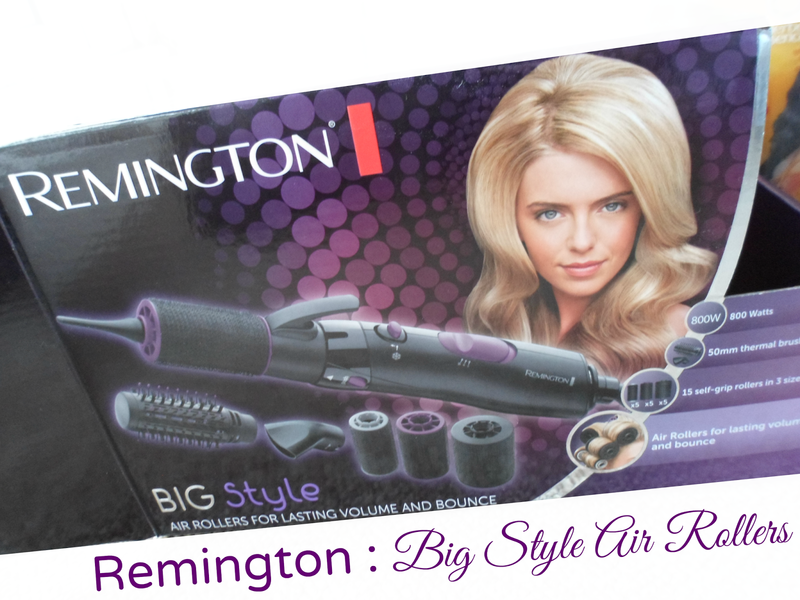 The Big Style is £44.99 and I give Remington a big high five for this creation! What do you think girls? Any of you tried this out yet? Are you a fan of rollers? Kirstie, you look amazing!!! As do they rollers, they look super easy.